Cheating spouses are always cautious and will try their best to keep their affair hidden. In such cases, most people use different phone numbers to stay in touch with their lovers. This can make it difficult for you to figure out what is going on. And many don’t use credit cards to avoid a paper trail that can be traced back to their affair. Such actions make it difficult to put your finger on anything concrete. An experienced private detective is quick to spot common ‘cheating spouse’ behaviors, and knows the shady tricks most cheaters are likely to pull off. As such they can find evidences that may not be possible for you to uncover on your own. If your spouse is indeed cheating a private detective can gather the much-needed proof. A detective can employ proven methods to locate cheating spouses without dropping a hint. They can efficiently keep a watch over your partner’s activity to gather information and evidence without their knowledge. The ability to work discreetly makes it difficult, if not impossible, for a cheating partner to hide their affair for long. On the other hand, if your spouse is not cheating, you can rest easy knowing that your relationship is safe and no one will know you ever had any suspicion at all. Private investigators have the training that enables them to search for evidence that can be used in the court to establish infidelity. This is important because if things end up in a divorce or a custody battle, you will need to present legitimate evidence that substantiates infidelity. When you hire a private investigator, you’re seeking the help of a trained professional who knows what counts as hard evidence and how to collect it lawfully. For a cheating spouse, concealing their affair from a non-professional is rather simple. But it’s not easy to hide the same way from a skilled professional. An experienced detective can easily spot the signs of an affair, which may evade your eyes. People often display an emotional outburst when they catch their spouse cheating. 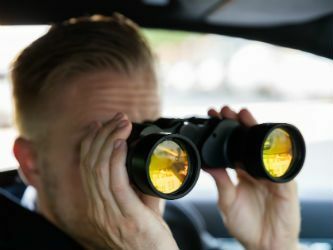 When you hire a private detective to gather evidence against your cheating spouse, as opposed to doing it yourself, you can spare yourself from an ugly confrontation. This will also help make sure you don’t do anything out of anger or frustration that may be used later against you in court. When you suspect your spouse of cheating you want to know the truth as soon as possible. A professional can provide you with concrete evidence. This helps you decide if you want to stay in the relationship or not. When you hire a trained detective, they can help you decide your next steps without wasting much time. If not for anything else, hiring a PI to guide you through step by step makes it worth it. This is obviously an emotional time, so guard against emotional decisions that can come back to bite you. This is the best reason of all!